Here is the gospel in one word. This was actually my sermon this past Sunday. Jesus said that the first and greatest commandment of all is to love the Lord with all our heart and mind and strength, and the second was to love others as we love ourselves. What a vastly different world we would have if we obeyed this one rule. If we lived by the one rule of God there would be no more poverty and no more hunger. 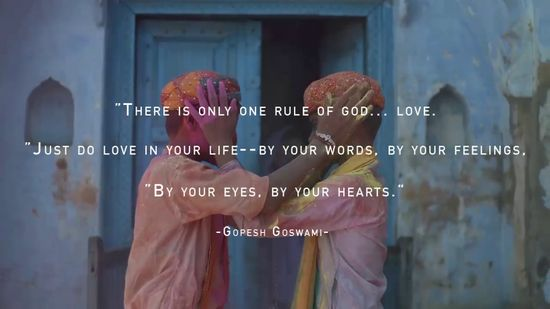 This entry was posted in Hunger & Poverty, Quotes, Spirituality & Religious Writings and tagged church, commandment, eyes, feelings, God, Gopesh Goswami, gospel, heart, hunger, life, love, poverty, preaching, quote, rules, Word on November 3, 2015 by Ray Buchanan.